This morning, firefighters from cities across Johnson County, Iowa battled a large fire affecting multiple buildings in downtown Iowa City. There were apartments on their upper floors of the impacted buildings. In the TV interview, one of the displaced student tenants said ‘Thank God for renter’s insurance’. Hopefully, all the tenants were as wise as the student being interviewed. College students renting an off-campus apartment or house should consider purchasing renters insurance to protect their personal property (i.e., computer, television, bicycle, furniture, clothing) in the event that it is damaged, destroyed or stolen. Even if a student is a dependent under the parent’s insurance, the student’s personal property, in many cases, is not covered if the student lives off campus. 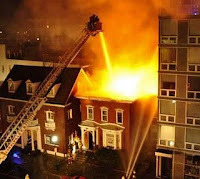 Your landlord’s insurance doesn’t cover your personal property in the event that your propriety is stolen or damaged as a result of a fire, theft or other unexpected circumstance. If you're having serious trouble paying back your student loan debt, bankruptcy is not a likely alternative for you. Student loans are usually not eligible for discharge from bankruptcy. If you're having trouble making any of your payments, the first step is always to contact your lender, be honest and try to work toward a realistic payment plan. The lender would much rather be paid over a longer period of time then for you to default on repayment of your debt. If your student loans are the largest part of your debt, you are better off to contact your student loan lenders and see if you can arrange an easier repayment plan or deferment of payments, over bankruptcy. Bankruptcy filings stay on your credit report for 10 years and will likely limit your ability to get a mortgage, borrow money, or get a job. Is the education worth the debt?Is it worth going an extra year so you can work while going to college and not take on debt? First, a college education is worth the cost, but you have to look at the potential ROI (Return on Investment).Different careers pay varying wages. With higher earnings, you are able to pay back a larger student loan debt with fewer sacrifices. The U.S. Bureau of Labor Statistics (BLS) publishes an OccupationalOutlook that lists occupations, the education required, and the potential salary range.According to the BLS, the high your education, the more money you will make and the less chance you will be unemployed.Choose your education, career and debt load carefully. We know it is better to save our money than to buy a lottery ticket. The odds of winning the Powerball are 1:195,249,054. Yet, when the payout climbs above a $100 million, we start to dream of what we would do with a winning jackpot. 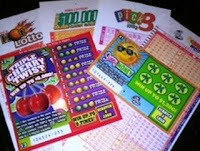 Lotteries give us an excuse to dream of what we would do if we had an abundance of funds at our finger tips. What would you do? What would you buy? Where would you travel? These dreams provide motivation to set goals and to work to achieve these goals. It also helps you to get in touch with your values and to ask the question of what your really want out of life.